Bullying is not new, nor does it occur sporadically. Indeed, according to the 2011 Youth Risk Behavior Surveillance System, run by the Centers for Disease Control and Prevention, “20% of students in grades 9–12 experienced bullying,” (as quoted on Stopbullying.gov, 2013). In any social setting where children gather routinely, vying for power and acceptance, bullying can occur, creating uncomfortable circumstances. The result of bullying is often emotionally stunting and long-lasting. Parents, school officials, and any adults who come into contact with children on a regular basis must watch for signs of bullying, which is, in effect, abuse, and take steps to stop it. Intrinsically, bullying is about power. When a person desires control over other individuals, they will exert power over them, mentally and physically, to subjugate the victim to total fear. The motivating factors for achieving such dominance are often representative of the weakness discern in their victims, such as feelings of inadequacy, jealousy, and a desire for acceptance by their peers. The perpetrator does not admit the underlying factors – not even to themselves, however, they are the impetus of the social interaction between themselves and the victim. Social Status – this includes gay and lesbian students, students who are part of specific social groups, smart students, and those with chronic illnesses. The reasons to pick on someone are usually based upon an attribute that is sensitive to the victim. The perpetrator, in their quest for power and desire to lead, sets their sights on someone who will be easy to manipulate and overpower. Bullying requires two parties to be effective: the perpetrators and the victims. There are some interesting similarities in their motivations. Usually, the perpetrator is one strong-willed, vocal, seemingly self-confident individual who can sway people to see things their way. They garner support from a small group of people who are, by nature, noncommittal and, thus, open to suggestion. Once the followers gain the attention of the strong-willed leader, they feel empowered and converting them is easy. The sense of acceptance permeates this group: the leader feels accepted by the followers, bolstering their confidence and making them feel invincible; the followers feel honored to have been brought into the group – their selection makes them feel special and relevant: cool. Seeking acceptance, as all people do in social situations, whether consciously or unconsciously, this individual is looking for inclusion and approval. They may not actively seek it with the group that targets them, but they emanate a lack of confidence that is perceived as weakness by the perpetrating group. The victims typically stand out for one reason or another in a way that reflects insecurity, for example, a very studious child who is socially awkward or a physically weak student who exhibits apprehension of the larger and stronger peers. Students craving social acceptance are prime targets. Circumstances can also put a child in a situation where they are bullied, such as being part of a racial group that is not prevalent in a school, or environment or subscribing to a different style of dress from most of the students in the school. Once the bullying begins, victims become more and more vulnerable to attack. If they attempted to placate the bully initially by sloughing off the verbal or physical attacks and walking away as society dictates conflict should be handled in social settings, they will continue to be pressed for action by the perpetrator whose goal, at that point, will be to humiliate. Once the victim is perceived as weak and, more importantly, alone, the bullying will increase. Bullying, and its relentless nature, puts the victim in a state of perpetual fear, no matter how hard the victim tries to avoid it. Even those who choose to fight are constantly worried that they will have to do it again and against larger numbers. Fear is stressful, and stress attacks the body in numerous ways, resulting in possible nervous breakdown. Much like the fear of an exam, bullying can cause physiological changes in our body that manifest themselves in different ways. From headaches to hair loss to Irritable Bowel Syndrome, bullying can bring on a host of ailments. Continuously being attacked can make one wonder if there is an inherent reason for the behavior. They start to believe the message the perpetrator is telling them...and doubt their self worth. 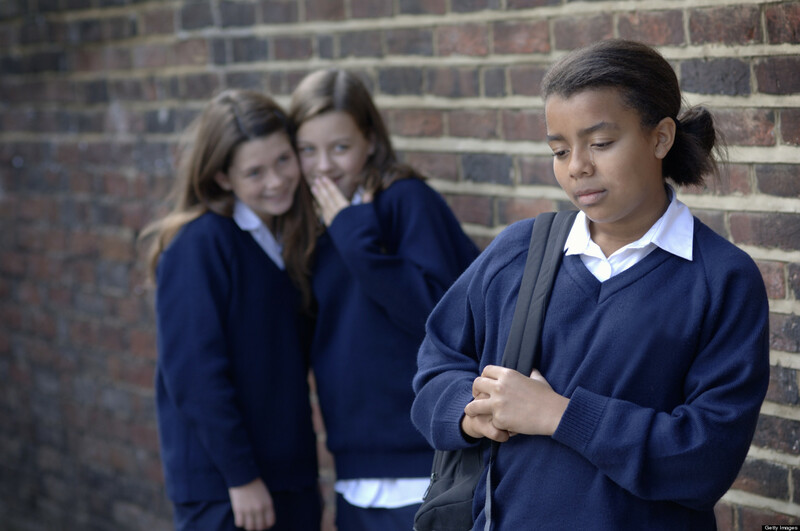 Low self-esteem, stress, and anxiety can plague a victim of bullying for years to come... and will affect their social and professional interactions. If the perpetrator and the victim share the same lunch period there is the potential for an altercation. That can cause stress for the victim, affecting their ability to eat and digest their food properly. They may even skip lunch all together to avoid the bully, leaving them hungry and unable to focus on their classes. The fear of going to school the next day can impact nourishment even within the confines of their own home. Pay attention to your child. While there are some changes that are just part of growing up, others are telltale signs that something is adversely affecting their lives. According to StopBullying.gov, kids don’t often ask for help (2013). It’s up to you to open the lines of communication, read between the lines, and determine when your child needs to get help. Bullying is something that has gotten worse over the years. With the advent of social media sites, cyber bullying is becoming a popular form of this display of control. Stay in tune with your child’s world and keep a protective eye on their lives. Dealing with bullying. (2013). KidsHealth.org. What is bullying? (2013). StopBullying.gov.